The Desperate Housewives star, Eva Longoria, added glamour to the red carpet in a gorgeous sleeveless red gown. A fan of athletics who was once married to NBA player, Tony Parkar, Longoria continued to support sports by attending the 2013 Laureus World Sports Awards at the Theatro Municipal Do Rio de Janeiro on Monday. 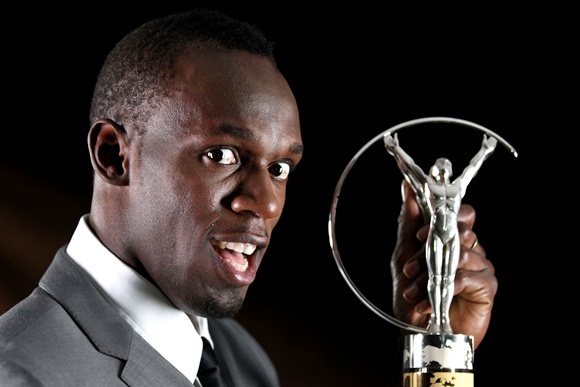 Jamaican sprint star Usain Bolt bagged the coveted World Sportsman of the Year. Bolt won it for the third time for his remarkable performance at the Olympics where he repeated his Beijing success by winning gold medals in all three sprint events in London: 100 metres, 200 metres and 4 x 100 metres relay. After the success of the London Olympics, the Britons still seem to bask in its glory. They sizzled at the Laureus Awards too.The World Sportswoman of the Year Award went to British athletics queen Jessica Ennis. 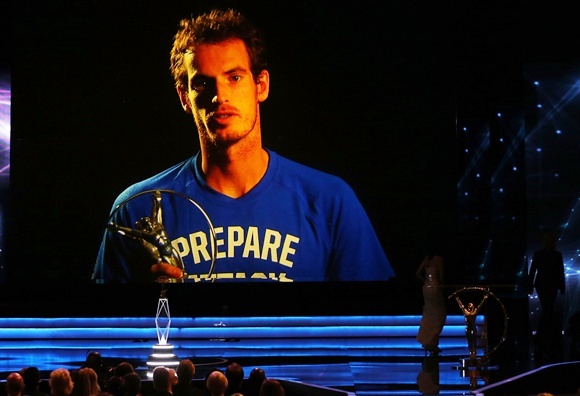 British tennis star Andy Murray, with his first Grand Slam victory at the US Open, plus an Olympic gold and silver medal in the singles and mixed doubles in London, made him the winner of the World Breakthrough of the Year Award. 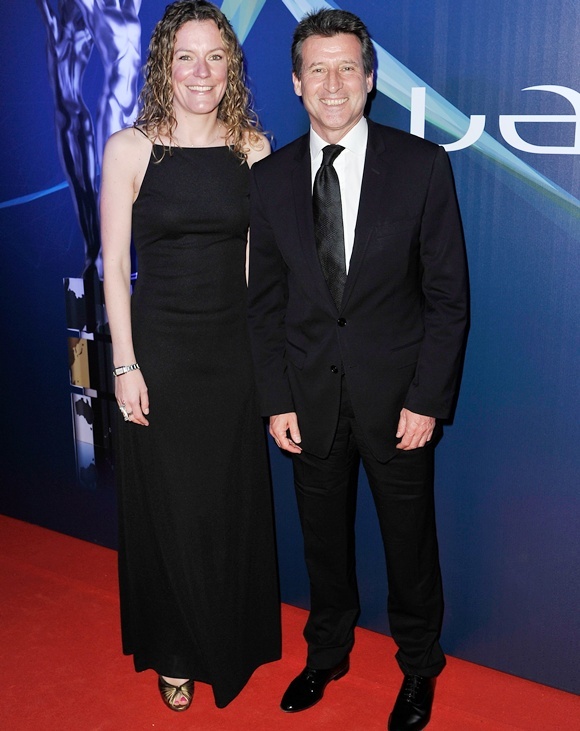 The British Olympic party was completed by the most prestigious accolade of the evening, the Lifetime Achievement Award. Sebastian Coe, the face of the London Olympics and a long-standing member of the Laureus Sports Academy, was recognised for his role as Chairman of the Organising. Dominican Republic's Felix Sanchez received the World Comeback of the Year Award after winning the Olympic 400 metres hurdles gold medal in London eight years after he won it for the first time in 2004 Athens Olympics. Brazil's Daniel Dias, 24, was once again the outstanding swimmer of the Paralympic Games. He bagged six individual gold medals in London, all in world record times. This achievement helped him winning the World Sportsperson of the Year with a Disability Award for the second time. Austrian skydiver Felix Baumgartner was the winner in the action category. He became the first human to go through the sound barrier when he made the highest ever freefall from 24 miles over New Mexico. 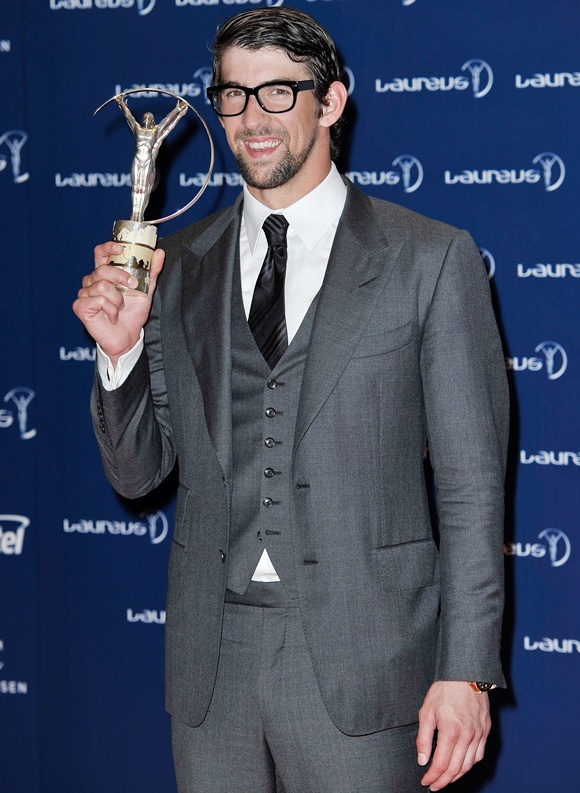 Michael Phelps, the legendary swimmer received the Laureus Academy Exceptional Achievement Award. The most decorated Olympian of all time with a career total of 22 medals, including 18 golds, eight of which he won in Beijing, was presented with the new Award. The World Team of the Year Award was presented to the European Ryder Cup Team after their victory against the United States at Medinah.